Via PreviewsWorld, we have a look at the retailer incentive cover for the upcoming Transformers Lost Light #5. 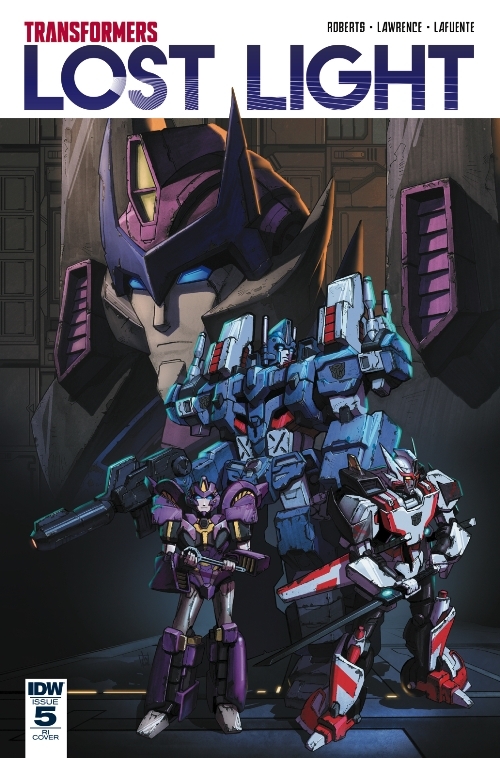 Featuring cover art by Jin Kim, this cover sports the trio of Ultra Magnus, Drift, and Nautica standing in the foreground, with a large and stoic Rodimus in the background. It is a nice piece of work with some solid lines, and we’d certainly like to see more of Jin’s work in the future.